OFFSHORE weeks take place at sea in the Dalmatia region in Croatia. The starting point is Marina Kaštela near the port city of Split. The Croatian coast line with its countless islands and its pristine landscape provides ideal sailing waters. It is perfectly suited for varied hands-on learning experiences, both on the boat itself and on land. Our yacht can be counted among the larger charter ships (15.4 m; 50.5 ft). We intentionally take no crew chef along. This fits our educational approach, because the group itself bears the responsibility to organize the shopping, portioning food, and preparation of meals, even at various ports and islands. 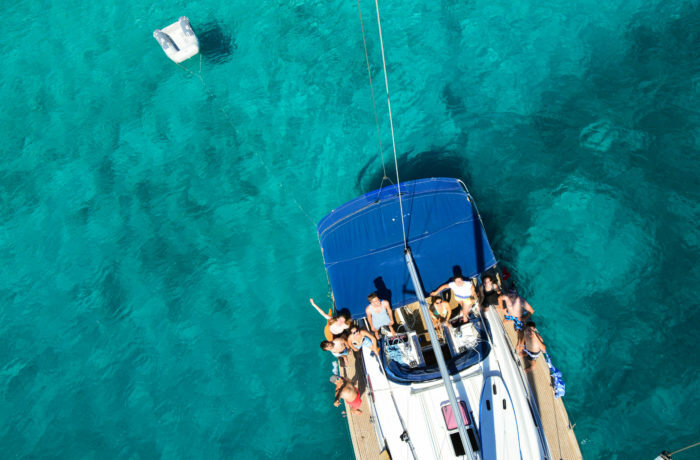 The opportunity includes hands-on-experiences on a sailing boat (at times even steering), the exploration of deserted islands and picturesque coastal towns, jumping off cliffs, and snorkeling in Croatia’s world-renown national parks. All this serves within the hands-on educational approach of the OFFSHORE week to strengthen the social competencies of the participants (intentional reflections included). All weeks contain devotionals, which connect the activities to everyday life. Beyond this, the staff speaks from their own lives and their Christian walks. In this way, participants are invited into open dialog about life and faith.